Catalysts speed up chemical reactions, creating new compounds from the original ingredients. The catalyst that Paton and his colleagues developed is specifically tuned to integrate fluorine atoms into a new organic product. "It works like a claw crane arcade game," Paton said of the catalyst's mode of action. "You're trying to pick one fluffy toy out of many and hold on tightly. In a broad sense, that's what our catalyst does. 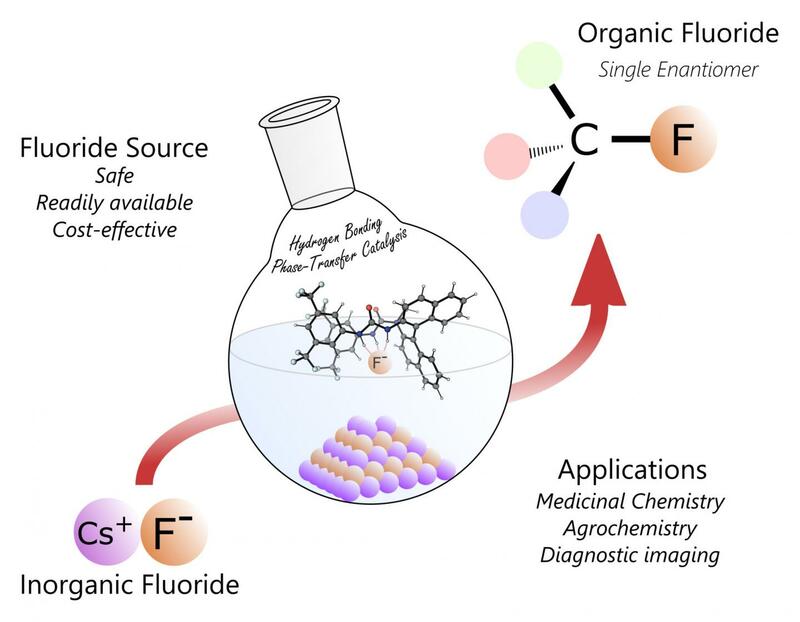 Surrounded by other chemicals, it selectively binds fluoride anions using three hydrogen-bonds – effectively a molecular claw – and then positions it to add the substrate," or target location. That's where Paton's work comes in. His lab specializes in computational analysis and uses quantum mechanics to predict structure and behavior. In creating a new catalyst, "computer-aided design allows you to visualize atomic-scale structures – in the same way you would design a new airplane or new house," he said. In the past, he added, "the discovery of new functional molecules has relied heavily on serendipity and trial and error. We've combined computation with experiment to understand the mechanism of how this thing works. And we applied that early on to guide our experimental design." Novel catalysts could also be put to work generating new, useful products out of waste. For example, specifically designed compounds could turn discarded plant products into useful chemicals, such as energy products. It is about "being able to control catalysis to generate the products you want," Paton said. And that work might someday be behind a better pharmaceutical or cleaner fuel – all thanks to a more efficient molecular claw.